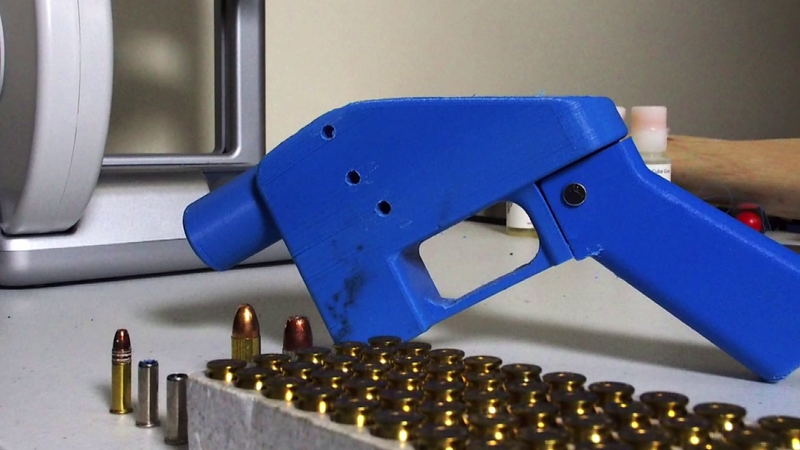 SEATTLE — A federal judge in Seattle issued a temporary restraining order Tuesday to stop the release of blueprints for making untraceable and undetectable 3D-printed plastic guns. The judge says the guns could end up in the wrong hands. "There is a possibility of irreparable harm because of the way these guns can be made," he said. More than 2,500 people have already downloaded blueprints for AR-15 style assault rifles. Congressional Democrats have urged President Trump to reverse the decision to let Defense Distributed publish the plans. Mr. Trump said Tuesday that he's "looking into" the idea, saying making 3D plastic guns available to the public "doesn't seem to make much sense!" Mr. Trump tweeted that he has already spoken with the National Rifle Association about the blueprints. The guns are made of a hard plastic and are simple to assemble, easy to conceal and difficult to trace. At a news conference Tuesday, Democratic senators said Mr. Trump has the power to stop the company from making the plans available online. The company's website says downloads have been posted on the site since Friday. A lawyer for the company said he doesn't know how many blueprints have been downloaded since then. Massachusetts Democratic Sen. Edward Markey said Mr. Trump frequently boasts that he alone can fix problems afflicting the country. Connecticut Sen. Richard Blumenthal was more graphic, saying that if Mr. Trump does not block sale of the 3D guns, "Blood is going to be on his hands." The State Department reversed course in late June, agreeing to allow Wilson to resume posting the blueprints. The files were published Friday. The company filed its own suit Sunday in Texas, asserting that it's the victim of an "ideologically fueled program of intimidation and harassment" that violates the company's First Amendment rights. "If I allow you to download and AR-15, I don't believe that I provide you with anything other than the general knowledge of what an AR-15 is," Wilson told CBS News. "I am no different from a publisher of information." Wilson's goal is to keep publishing blueprints until every gun design on Earth is available to everyone.